Other than boxers and socks, t-shirts are almost definitely the most worn items in our wardrobe. Therefore, it is essential that we have wardrobes full of excellent t-shirts. Have you ever bought a t-shirt just to be unhappy with the quality or the durability and have to replace it? That’s because it’s no good just going and buying any. Some t-shirts, like this Polo Ralph Lauren Men’s Classic V-Neck Undershirt show that careful selection will help you find the best t-shirts for men. That one, in particular, is an excellent blend of comfort, quality, and style. You need to take into consideration many of these factors and really play carefully before you go and put your money where your mouth is. That’s why we have decided to make this article. 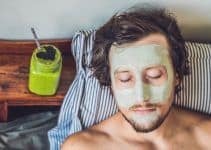 In this article, we will help to provide you with instructions on how you can go ahead and make the best decision when purchasing your new t-shirt. Not only that, but we will give you some advice on how to keep them clean and tidy so that they’ll last longer. Do you want a crew neck or a v-neck t-shirt? How did we choose the best t-shirts for men? Inevitably, comfort comfortably goes into number 1 on this list. When looking for the best t-shirts for men, you need to prioritize what you find comfortable. There are two ways to go about this: First, you can look at what you personally find comfortable. Second, you can look at what brands are known for producing comfortable t-shirts. To be completely blunt about it, you pretty much wear a t-shirt all day every day. If you’re wearing clothing, then it’s likely to involve a t-shirt of some kind. If we do the math, it seems to point towards a requirement to shop for comfort. It seems completely illogical and flawed to shop for a t-shirt that’s uncomfortable and end up having to wear it all day despite feeling like you want to rip it off and free your skin. Instead, go for what you find comfortable, and ensure that your new t-shirt will just sit on you all day and feel great. Another note, and take it from us, you’d rather be comfortable than stylish. When looking for your new t-shirt, you’ll want to take a quick look at the material. T-shirts can come in a massive variety of material options, we can’t deny that. Whether it’s polyester, cotton, viscose or spandex, you can find materials that are used for all kinds of purposes. Ultimately, you want to stick to those above. If you’re not really into sport, or the gym, or running, or anything like that, then we think you’d be safe just to stick to a good cotton material. Good quality cotton is the perfect material for a t-shirt. Not only that, but some material is inherently more premium than others. A great example would be heavyweight cotton. Heavyweight cotton is made to be more comfortable and more durable. You’ll definitely feel the difference as soon as you put on a heavy cotton tee, and it’s more than likely you’ll love it. Taking into consideration the quality of a t-shirt is, of course, one of the most important things. At the end of the day, there’s absolutely nothing worse than ending up with a t-shirt that is frail and falling apart after a couple of wears. T-shirts that are made with great quality will last you, and they’ll remain comfortable, and they’ll keep their color. There are many other aspects to what makes a great quality t-shirt, but much of it is pretty intuitive. You’ll know what looks like good quality and what looks like cheap and poor quality. Another thing that you should keep in mind is how long your t-shirt is likely to remain at a high quality. That is to say, if you’re looking at a potential t-shirt, you’ll want to make sure you get one that will last you a considerable amount of time. Not looking out for the durability of a t-shirt will just leave you in a vulnerable position when just two months down the line you’re bringing out your credit card again to buy the same one. Instead, just find one that’s made to last, and you’ll only have to buy it once. Yeah, t-shirts are just t-shirts, we’ve heard it all before. The truth is, t-shirts come in all sorts of style, and it’s definitely worth taking your preference into consideration. Ultimately, the point of this is just to keep in mind what you prefer, or what you’d like to buy. That way, when you’re filtering through the many t-shirt options in store, you’ll find the ones that you like the most quicker. Finally, we’d love you to keep in mind the brand that you’re looking at. We all have favorites. For example, we are big fans of Champion. By that same token, you may be a big fan of Nike, and therefore you’ll know how their t-shirts fit you and you know that you’ll be able to pick them out easily enough. Almost every clothing or apparel brand in the world have their own t-shirts produced, and that makes it much easier for us to find our favorites. So next time you’re looking to purchase a new t-shirt, think to some of your favorite sweaters, jackets or dress shirts and see if they also make t-shirts. You could be surprised and have a new favorite that easily. For those of us who are merely mortal, we may be genuinely often concerned by the fact that we can break out in sweat just walking a flight of stairs. With this can often come embarrassment as you then end up sweating more whilst trying to conceal your sweat patches from your co-workers, friends or date. It sounds like it’s something you shouldn’t really take into consideration whilst thinking about a t-shirt, but it definitely is. There’s nothing worse than a t-shirt that has absolutely no protection whatsoever against sweat. That’s why this Thompson tee, as originally seen on the ‘Shark Tank’, has been created to be sweat proof, including underarm sweat pads. You’ll never have to sit through the embarrassment, nor will you end up having to replace your tees because the underarm has been stained from sweat time and time again. It comes in a relaxed fit, but one that looks clean and still relatively closely cut to the body. Given the style of the tee, it’s mostly recommended as an undershirt. Whether you decide to wear it underneath a dress shirt or a sweatshirt is up to you – but ultimately, you’ll be protected against sweat coming through whilst simultaneously being incredibly comfortable. Completely sweatproof under the arms – and it works! For those of you looking for a t-shirt that will be primarily worn underneath your dress shirts, sweaters or hoodies, then this could be a great choice. As we all know, getting warm can cause us to sweat and ruin garments. This tee will completely prevent that. Choosing a brand that is universally recognized is another excellent method of ensuring that you’ll find yourself with a t-shirt that is durable, comfortable and high in quality. Calvin Klein does just that. This 100% cotton t-shirt comes in a slim fitting design, making it one of the best-fitted t-shirts for men. 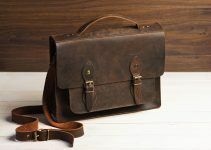 If you’re looking for something that will accentuate your shoulders, arms or chest then this will do just that for you. Not only that, but we can just look at the general quality that Calvin Klein products have. Everyone knows that their briefs and boxers come with excellent quality and will typically outlast almost any other brand. We’d like to think that this extends to the rest of their clothing line, and hopefully, the t-shirts will be reflective of this. The best thing with a cotton t-shirt like this is that it can be worn as just a t-shirt, or it can be utilized as an undershirt – it really isn’t a problem either way. The slim fit cotton is breathable to the extent that it is not going to form a layer that is too warm, but at the same time it isn’t going to leave you feeling like you’re too cold. If you’re a tall, muscular or lean guy, then you may find yourself looking around for a t-shirt that doesn’t just hang off of you. For you, slim fit has been created, and this option is one of the best. Under Armour is without doubt one of the best men’s t-shirt brands. They create everything, but specialize in sportswear. 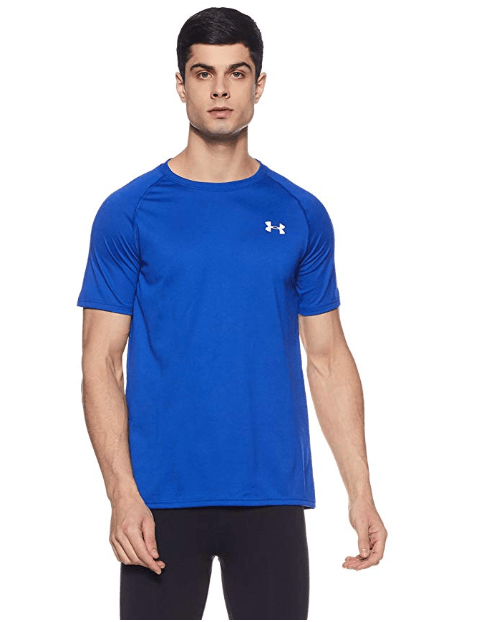 When you look at an Under Armour sportswear tee, you could be easily mistaken for believing that it’s a regular t-shirt design. That’s because their care for the aesthetic top tier compared to most sportswear brands. Rather than having a t-shirt that restrains you to wearing only at the gym, you can certainly get away with wearing this one at the store or downtown. Made from 100% polyester, it makes the most of the classic UA tech fabric that has been patented to be quick-drying and ultra-soft. Not only will it fit comfortably, but you’ll be able to benefit from the sweat-wicking material on a daily basis. For those that are worried about their t-shirts smelling as the day goes on, this has anti-odor technology that prevents the growth of the microbes that cause odor, so you’ll be able to maintain a great smell all day. The fit on this t-shirt is loose. If you prefer a tighter or form fit, then you may want to size down just to make sure that it provides you with this purpose. For the rest of us, the loose fit is incredibly comfortable, keeps you cool and can go as an underlayer on your day-to-day outfits. Not only that, but this option comes with a huge bank of color options. If you have a specific color of a t-shirt in mind, then you’ll certainly find it here. Regardless of whether you’re a gym rat or just someone looking for a nice tee to wear around the house, this is a great option that will offer you all the comfort of a classic tee whilst providing protection against odor and sweat. As the self-labeled pioneers of classic American athletic wear, Champion holds itself in high esteem, and with the brand making a huge comeback in 2018, there’s no reason why any man should not have a Champion tee in their wardrobe. The script tee is made from 100% ring-spun cotton fabric to give it that extra bit of softness that can make all the difference in the comfort of a t-shirt. 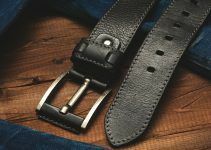 There is a narrow collar on purpose as it provides a more modern fit. Ultimately, no one really wants to be walking around in a crew neck that is so loose it’s almost functioning as a v-neck. The fit on this t-shirt can be described as an ‘athletic fit’. This essentially means that it’s cut slightly closer to the body in order to accentuate some of the primary male features like the shoulders. Regardless of the fit, the reviews indicate that these t-shirts can hold their shape perfectly after a wash, and that the fit is generally pretty good no matter who you are or what your body shape is. One of the best things with Champion is that they’ll always offer you a great selection of colors. If you’re not just looking for the best white t-shirts or the best black t-shirts then you’ll find a huge variety of quality t-shirts that you will enjoy. If you’re looking for a clean, branded t-shirt that will look great any time of the year, then this Champion script tee is just that. They have made somewhat of a powerful resurgence in the last two years and owning one of their t-shirts is certainly recommended by us. They’re top quality, comfortable and stylish. Finding perfect plain t-shirts can be much more difficult than it sounds like it should be. Firstly, you need to ensure that the material is good enough. Secondly, it needs to be comfortable enough. And thirdly, the quality in general has to be good enough to make you want to wear it. Simply put, plain t-shirts are some of the hardest to find. That is because the top brands will always label their tees in some way. That is their method of advertising. This crew t-shirt from Fruit of the Loom is 100% cotton and should certainly be considered by anyone looking for plain t-shirts, whether they want it for an undershirt or for best. It comes with lay flat sleeves, an addition they made to create a closer cut to the arm. Not only that, but it means that you won’t have a bulging sleeve underneath your dress shirt. This is repeated with their collar. You won’t see it underneath your dress shirt, meaning that you’ll be able to walk around in 100% cotton comfort all day without worrying about your peers seeing that you’ve decided to pop a t-shirt on underneath. They have purposefully been made long. Not only does this suit the many tall people out there that cannot find a crew neck that doesn’t cut off above the belt, but this suits everyone wanting to wear it tucked in. The reasoning for this is that you’re able to tuck it in tight and it’s not going to come out during the day thanks to the additional length. Overall, this plain crew neck is probably best worn as an undershirt, but the quality and comfort of the cotton means you can certainly get away with it as just a plain tee on any given day. The art of finding a plain t-shirt is one that is harder said than done. This Fruit of the Loom t-shirt will erase all of your worries as it comes with comfortable cotton and extended length, making it ideal for tucking into your trousers. Polo Ralph Lauren is one of those brand names that instant jump out at you. You know that if you’re going to buy Ralph Lauren, you’re going to get premium, supreme quality. According to the reviews of this classic v-neck, they’ve replicated that premium quality. It’s an essential v-neck design that should form at least part of every man’s wardrobe. And if you’re going to allow a v-neck to become part of your wardrobe, Polo Ralph Lauren is an excellent place to start. The 100% cotton jersey is extremely comfortable and will allow you to move about freely. It’s thick enough to be comfortable provide some sort of support, but not too thick so that you cannot wear it as an undershirt. The embroidery on the hem at the bottom adds that little extra bit of style to your outfit, as the classic logo will catch the eye of anyone talking to you. Stretch fit is another thing that Polo Ralph Lauren is known for. 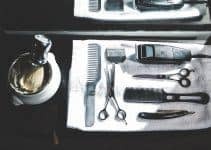 This essentially means that it will change to mold your body and create a custom fit that looks great at all times. We love the stretch fit, and we know that Ralph is one of the best at it. Polo Ralph Lauren is a famous brand known for great quality items. Fortunately, they’ve made this v-neck undershirt to be reflective of that. It’s incredibly comfortable and comes with a premium quality. V-necks can often be risky because they are deep. This means that you’ll have a good portion of your chest on show. For the majority of men, you don’t want that, for a multitude of reasons. This Gildan men’s v-neck is a greater option for those of us that don’t want that deep v-neck, because it’s much tighter and less prominent. In terms of actual practical benefits from this t-shirt, you’ll be able to make the most of the moisture wicking material, ensuring that you’ll stay cool and dry for long periods. You can also find that the t-shirt should hold its shape for a considerable amount of time thanks to the taped neck and shoulders. The options for this v-neck come in two options: black and white. We think that quite often these are the perfect colors for t-shirts, and undershirts in particular, as they’ll seamlessly fit underneath a dress shirt or a sweatshirt without risk. 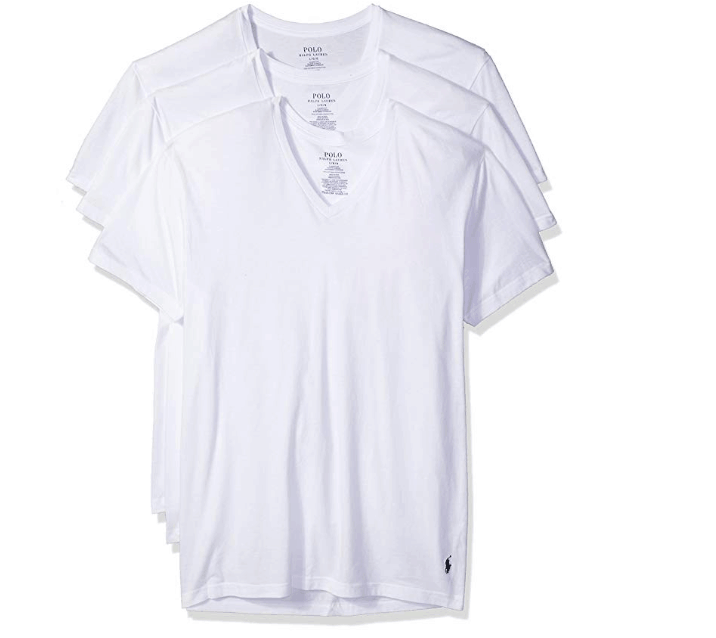 Finding a well-fitted v-neck can be tough yet Gildan make it easy. It’s a small v meaning that you won’t be walking around with your chest hair showing, and it’s comfortable enough to be worn all day, regardless of whether it’s as a regular tee or an undershirt. A heavy cotton tee should always be on a men’s shopping list. A heavy cotton tee is the hallmark of comfort is pulled off well and they really provide some extra warmth and general style. What we love about heavy cotton is that you can’t see through them. A regular cotton tee can just look cheap. And this really isn’t the case when it comes down to heavy cotton. With this one in particular, you’ll notice that they’re already pre-shrunk. This means that you should get a perfect fit straight out of the packet, and you won’t see any shrinkage after the first wash. This is absolutely ideal as it means that it should be true to size from the moment you decide to purchase it. Heavyweight cotton – more comfortable. More practical. Heavy cotton is one of those materials you should always have at least one t-shirt of. You’ll love the extra quality you get from a heavyweight tee, and this one is a great place to start, in terms of price and quality. A great t-shirt can usually be found by choosing the right brand. The right brand is hard to find, but some really take care with their t-shirts. They’ll be heavyweight, and proudly show their badge on the front, putting their name on the line. Carhartt is a famous brand in the US but much of their apparel is expensive, which we believe is only indicative of their quality and design. This ‘K87’ workwear t-shirt is made from ‘hardworking heavyweight’ cotton that is comfortable, shape-holding and durable. One t-shirt should last you an incredibly long time, and the wear isn’t just confined to work, either. You can wear this t-shirt around easily, as it looks great. With this t-shirt, though, please be aware of the generously cut sizing. This just means that the sizes tend to run big, and it’s sort of an oversized fit. If you typically wear a size large, then perhaps you should go for medium in this tee. If you like a good oversized fit, then choose your regular sizing. Shopping with a well-known brand takes away much of the guesswork involved with purchasing a t-shirt online. Sticking to a brand like Carhartt will almost guarantee that you’ll be getting something quality and worthwhile. This workman tee can certainly double up as one of the best casual t-shirts, lasting you forever in the process. If you’re anything like us, you will have been moaned at, at least once*, for not folding or packing t-shirts well. That’s why we’re here to help. This section is designed to act as some sort of guide. One that will help you to fold t-shirts better, and know how to store them properly. Folding and storing properly will make you look smarter all round. There’s nothing that screams laziness and sloppiness more than a completely creased t-shirt, and you don’t want to be that guy that just looks like they’ve plucked their t-shirt off of the floor of their filthy bedroom. So without further ado, here are our top tips. We’ve decided to start off with one of our favorite tips. This is primarily one of our favorites because it means that we can save some serious time simultaneously. Not only are you folding, but you’re doing it in 2 seconds, and you’ll be able to do your entire wardrobe in a minute or less. Learning how to fold your clothes in 2 seconds doesn’t just happen instantly. You’ll need to dedicate a bit of time to learning the process, but once you’ve done it a few times, we’re sure that you’ll be on fire and nothing will prevent you from doing it again. If you have the real estate in your room, or in your wardrobe, then the preferred method of storage would be on coat hangers. Doing this will actually make your t-shirts keep their fit better, they’ll never crease and you’ll never get any fold marks. We know that not everyone has this luxury, so if this is you, then look for the next tip below. If you can’t hang your t-shirts, and in many cases, we can’t either, then the next best thing is just to lay them flat in your drawers. So long as you’ve folded them properly (see step 1), you won’t have to worry too much about them getting creased. If you’re going to stack them on top of each other, folding them right is even more important. The key thing to avoid when trying to fold and store your t-shirts is having a lapse of concentration or a blurt of laziness. It’s very easy to just want to throw your t-shirt down after a hard day, but you’ve really got to avoid it. Throwing your t-shirt into your drawer can be an easy fix to your problem of just having it out in the way, but you’ll pay for it later when it’s creased and ugly. Do you want a crew neck or a v-neck t shirt? It’s an all-important question. Crew neck or v-neck? On the face of it, it’s a very small, minute change that may seem like it holds little significance. But that could not be further from the truth. In reality, your entire outfit and look hinges on the right style of t-shirt. 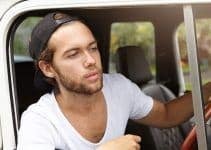 Wearing a crew neck when the outfit screamed for a v-neck could be catastrophic, and similarly, if you’re someone who just enjoys the certain way a t-shirt feels, then you may want to pay attention to the small differences that you’ll find in these two types of tees. First, we’ll discuss crew necks a bit more generally, before moving onto v-necks. Once we’ve covered them both, we’ll get into the differences and let you know how you can decide what you’d rather be wearing. A crew neck t-shirt has a regular neck. Rather than a scoop or v, it is just a regular round neck that will sit comfortably on the neck and across the shoulders. Typically, you’ll find that a crew neck t-shirt is most suitable for every occasion. It is rare that you’ll find a scenario where a crew neck will be frowned upon. That’s what makes it so great. It is truly versatile and it is hard to see where you can go wrong with them. On the other hand, a v-neck t-shirt can often quickly become questionable. As the name suggests, the neck forms a v shape, going deeper down towards your chest. Of course, some brands get their v-necks perfect. But occasionally, you’ll find that your v-neck can go a bit too deep for regular scenarios. Another thing to take into consideration is the layering of clothes. If you’ve got a sweater or a jacket that you love wearing often, and it has a deeper neck, then a v-neck could suit this scenario better because it can flawlessly fit underneath. Ultimately, the main difference is in the neckline. It is. But as we’ve discussed, this can completely change the style and situation that they’re for. A v-neck is great for a shorter or more muscular man, as the shape will help to balance out the extra width across the shoulders that they tend to have. Also, if you’ve got a really wide face, then you may find that a v-neck will help balance that out too. However, if you’re really skinny, then you should try and avoid v-necks, at all costs. Seriously. V-necks are also more suited to layering. If you’re wanting to wear a sweater, cardigan or jumper, then it’s probably a v-neck that you want underneath. That way, you won’t have to worry about having the collar on show underneath your sweatshirt. Finally, we just want to reiterate that the differences are primarily just concerned with looks. They will change the aesthetic of your outfit, but they probably won’t change the feel of it. That is to say, if you find v-necks more comfortable, then wear them more. Obviously, it’s not the most definitive list ever. What we mean by that is that there are truly millions of variations of t-shirts, and we quite simply could not have tried and tested every single one. However, by using some of the parameters we described earlier, we have been able to select what we think are some of the best t-shirts for men in 2019. If we look at the parameters we set earlier, we had to make sure that the t-shirts we chose excelled in quality, comfort and material selection. Another example is that we wanted to make sure that at least a few of the t-shirts were made by some top quality brands, and we ensured this by choosing ones from Carhartt, Champion and Polo Ralph Lauren amongst others. Finally, we had to go ahead and look at some of the different occasions that people require t-shirts for and make sure that we could encompass many of them. In our list of the best t-shirts for men, we are proud to have found crew necks, v-necks, undershirts, sportswear, and more. This has allowed us to appeal to a much greater portion of the male population, as not everyone need t-shirts for the bar, and likewise everyone may not need t-shirts for sport. Finding a brand new t-shirt can be a difficult task dressed up to look easy. You feel like it would be easy enough to just go ahead and find yourself a white t-shirt, or a black t-shirt, but it’s not quite like that for men. You must take into consideration different factors like the style, material and overall quality of the t-shirt. This is where we have tried to help you out by producing this article. We’d love to hear from you, though. What is your favorite t-shirt – it could be sportswear, an undershirt, a branded t-shirt or anything else? Did it manage to make this list? Or is it something we haven’t even thought about? Let us know in the comments.